Experience a rejuvenating cleanse with Mizon Snail Repairing Foam Cleanser, a rich, lathering face wash infused with Korea's best kept beauty secret, Snail Secretion Filtrate. Rich in Protein and Glycolic Acid, Snail Secretion expertly reduces the appearance of wrinkles and boosts firmness. 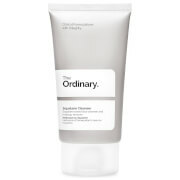 Combining lightly exfoliating Papaya extract and antioxidant-rich Green Tea, the cleanser transforms into a luxurious foam that effectively cleanses away dirt and impurities without stripping skin. Suitable for combination to oily skin, it will leave the complexion feeling fresh, revived and youthful. 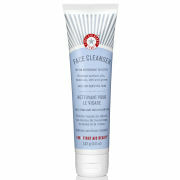 Wet your face and lather a petite pea sized amount of cleanser (a little goes a long way) between your palms. Massage the foam into your skin from forehead to jaw. 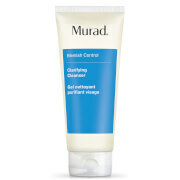 This is definitely a great product to use with a gentle facial brush or sponge to get extra suds. Rinse with lukewarm water, pat dry (with hands or a clean towel) then follow with a toner. Water, Stearic Acid, Glycerin, Potassium Hydroxide, Butylene Glycol, Sodium Polyacrylate. Myristic Acid, Lauric Acid, Glyceryl Stearate, Peg-100 Stearate, Propylene Glycol, Cocoamidopropyl Betaine, Peg-14m, Snail Secretion Filtrate, Polysorbate 20, Polyquaternium-7, Hydroxypropyl Methylcellulose, Gypsophila Paniculata Root Extract, Carica Papaya, Ivy Extract, Plant Extract, Arnica Montana Flower Extract, Artemisia Absinthium Extract, Achillea Millefolium Extract, Gentiana Lutea Root Extract, Ethanol, Camellia Sinensis, Disodium Edta, Fragrance.